Chris Forsberg is a true leader in motorsport drifting around the world. 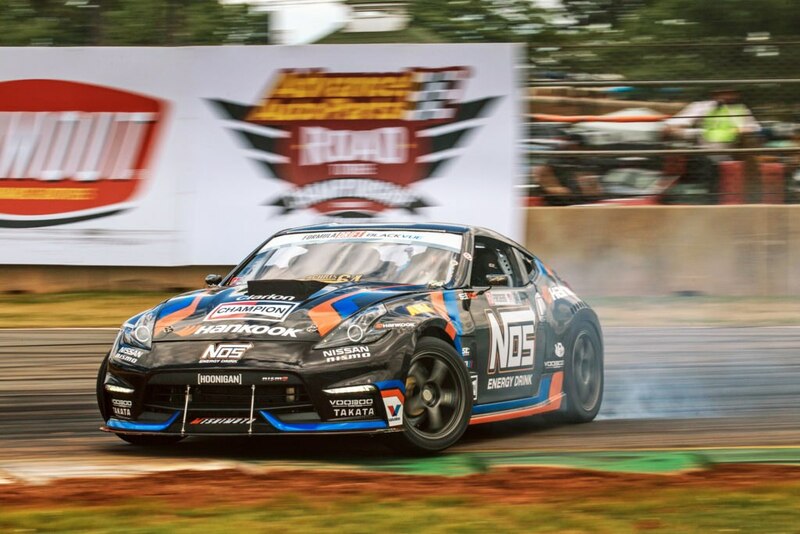 With three championships underneath his belt, both in the Nissan 350z and 370z Chassis, Chris Forsberg brings years of experience to Voodoo13! 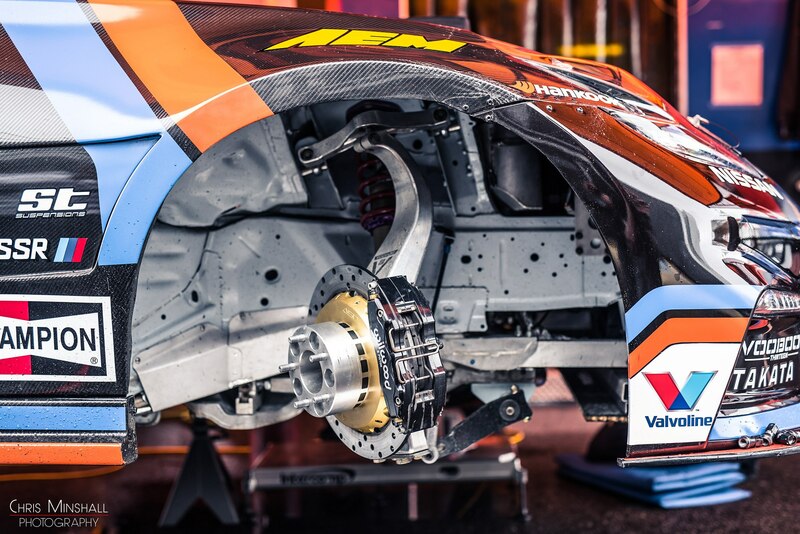 The Forsberg Racing Team has spent hundreds of hours developing our Voodoo13 Nissan 350z suspension components, as well as our championship-winning 370z suspension components. If you are looking for suspension arms that were built and developed on and off the track by a world-class drifting champion, we have the product for you! Arguably the most consistent driver in Formula Drift, Chris Forsberg is one of the very few “Ironmen” of Formula DRIFT attending every round since 2004. In it’s inaugural year, Chris finished the year with 2 out of 4 podiums and 2nd Place in the Championship. In 2007, Chris started his own team, Chris Forsberg Racing. His greatest achievement came in 2009 when he earned the title of 2009 Formula DRIFT Champion as well as Triple Crown Champion. Forsberg was not only the first driver to win both titles in the same year but is the first driver to win a Championship whose career originated in grassroots drifting. In 2014 his consistency reigned supreme again as he was crowned the 2014 Formula Drift Champion with a record breaking 5 podium streak and never finishing outside of the top 4, placing him with the most podium finishes in Formula Drift history. He was also awarded as the Top Qualifier with multiple 1st Place spots. In 2016 he broke his own podium record to a now 6 consecutive podium finishes earning him his third Formula Drift Championship as well as the World Championship title. 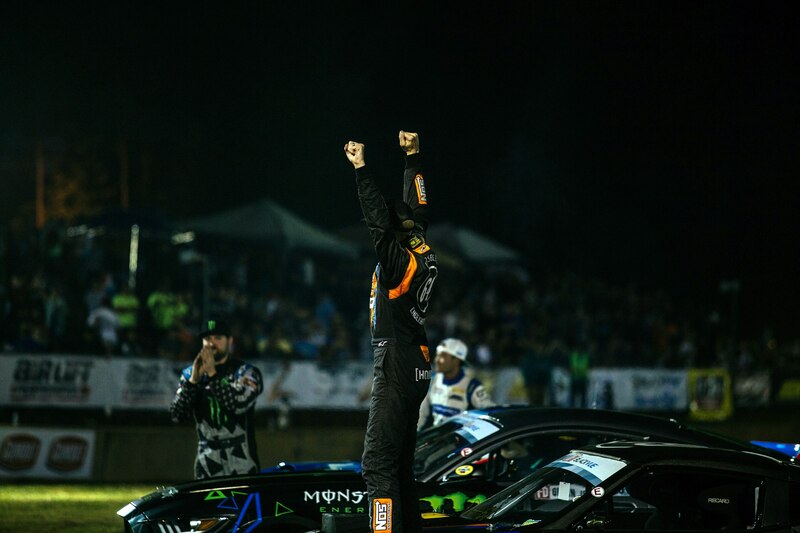 His raw talent and consistent driving style have made him one of the most winningest drivers in Formula Drift History. 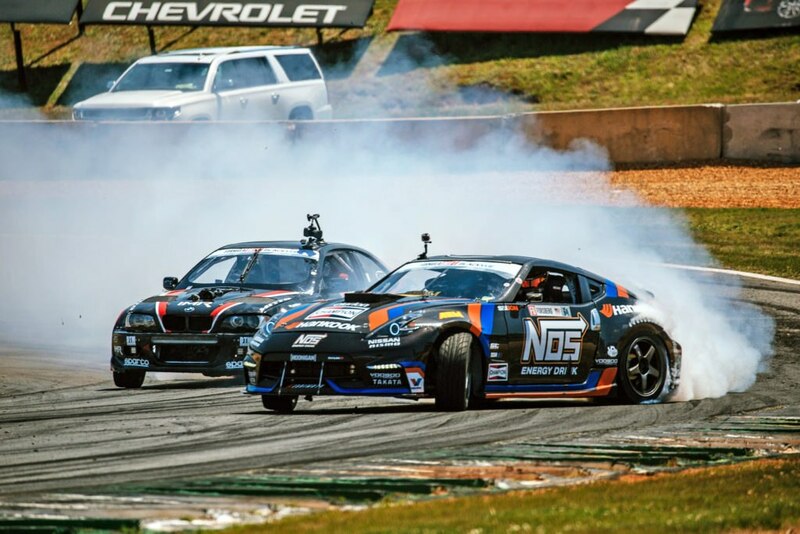 Chris Forsberg’s Championship winning Nissan 370z on Voodoo13 Suspension Arms competing at Formula Drift Road Atlanta. * Only driver to defeat champion Samuel Hubinette in Formula D 2004 season competition. * Aces High member of DGTrials. 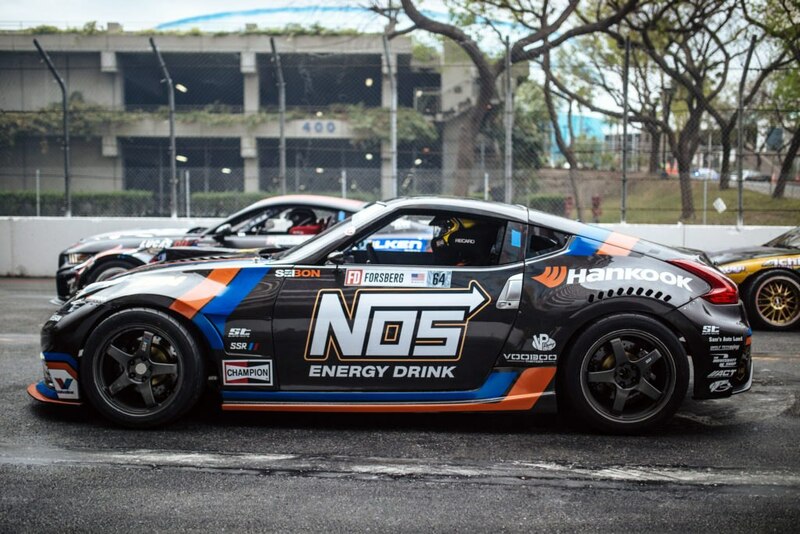 Chris Forsberg’s Formula Drift Nissan 370z angle kit. Chris Forsberg taking the win in his Nissan 370z equipped with our Voodoo13 Suspension Arms and angle kit.